Rock climbing provides the exhilaration of conquering a crag, but also the puzzle of figuring out a sequence of moves to climb a difficult section. You can experience the rewards and challenges of rock climbing by taking the Boston Mountaineering Committee's Rock Climbing Program! This program covers the basic skills for outdoor rock climbing. The emphasis of the course is learning to safely follow a leader on multipitch trad climbs. We cover: toprope anchor building, belaying, ascending, rappelling, and more. No prior experience is necessary. Tuesdays: April 2, 9, 16, 23, 30. Ever wanted to try hiking or backpacking and didn't know where to get started? Are you rusty and want to brush up on your knowledge and skills? Do you want to get involved with our organized hikes and meet other hikers? Then the 3-Season Spring Hiking Program (SHP) is for you! This interactive course consists of 5 instructional sessions to introduce the basics of spring, summer and fall day hiking and backpacking in New England. Join the Young Members Google Group: Spontaneous Outings and Socials (SOS). SOS includes local hikes, walks, nature trips, socials, talks, workshops, etc., within the Boston area. The goal is to bring like-minded people together and encourage exploration, enjoyment, and appreciation of local open spaces and environmental issues. Trips and socials will be emailed 3-5 days in advance and will include meeting location, required equipment, skill level, and duration. Have you ever wanted to take your family for a hike? Not sure where to go, what to bring, or how to convince your kids it will be fun? Then join us for the 2nd Annual Beginner Hiking Program (BHP) for Families (you do not need to be an AMC member)! BHP registrants will receive periodic emails with information on appropriate clothing and equipment, trail etiquette, basic trail safety, and tricks and games to use on the trail. After you register, choose from the list of hikes especially for beginners and sign up early, as hikes will fill quickly. This program is for AMC members who are interested in organizing and leading Boston Chapter trips and activities. Participation in the program qualifies you to co-lead trips and activities for Hiking/Backpacking, Bike, Ski, Young Members, Forty Plus, Family Outings, Paddling and other Boston committees. The program consists of lectures, small group exercises and role-play scenarios spread over two evening sessions and one-weekend session, with a follow-on session to organize actual trips. Topics include trip planning and trip organization, safety, leadership styles, and group dynamics. This trip is ONLY available to participants of the Spring Hiking Program. Join us in the middle of the week after work for a conditioning hike in the Middlesex Fells (Fells). Show up for one or all three hikes in the series. Your choice! There is no screening for this hike. Everyone is welcome to join, but you must sign up on REGI. The main goals of this hike are to get your heart pumping, figure out your fitness level, and start (or continue) getting fit so that you can enjoy the later hikes in the SHP even more! Come join Boston AMC 20s and 30s for a bar social at Russell House Tavern in Cambridge! Get more information on weekend outings, volunteer opportunities, and meet people with the same passion for the outdoors. Some appetizers will be provided. Drinks and meals are on your own. You don't need to be an AMC member to attend - all are welcome! Get your spring hiking legs on! Join the Wednesday Wramblers for a hike in the Nobscot Scout Reservation located in both Sudbury and Framingham. This 4-5 mile hike features glacial erratics, two homestead sites of Revolutionary figures, a pest house and grave sites, one of which is for children who died of smallpox. It that's not enough, Nobscot Hill (602 feet) and Tippling Rock (426 feet) provide wide views looking toward Boston, and without leaves, we may be able to see Mts. Wachusett and Monadnock. I began leading bike trips for the AMC in 1990 and led for ten years before taking a break. When I became active with the Forty Plus Committee I decided to start leading again. I took a refresher leadership course and Wilderness First Aid and now I am certified as a cross-country ski and bike leader. I have met many wonderful leaders and trip participants and Forty Plus has become one of my most enjoyable retirement activities. Please note: this is a collaboration between Boston's Hiking & Backpacking Committee and MIT Physical Education and is open to MIT PE students ONLY. Enrollment is handled by MIT. Two nights and three days in the Blue Hills reservation. Includes all meals. On-trail instruction in map and compass skills, LNT principles and ten essentials. In camp instruction on meal planning/prep, trip planning and risk management. This trip is ONLY available to participants of the Spring Hiking Program. Come join us to hike Mt. Sunapee. While this mountain is known for snowboarding and skiing in the winter months, it offers some great hiking and is closer to Boston than many of the other hikes that we offer in the SHP. We'll be hiking via the Summit trail. The hike is 4.8 miles and 1,300 feet of elevation gain. If the weather cooperates there are great views from the summit, which is at 2,700 feet. Come hike the longest (9 miles round trip) and in my opinion the most beautiful trail on Mount Monadnock! After beginning with a gentle ascent through a hardwood forest, the trail follows a ridge line for much of the hike until it breaks out of the trees and turns into an open expanse up the rock slabs that leads to Monadnock's beautiful summit. Register at REGI link: https://regi.amcboston.org/event/2376. Dust off your gear and join Boston Chapter Young Members (20s, 30s, and young at heart) for an early season backpack in north-western Connecticut! This is a beginner-friendly women's backpack. We'll hike at a pace on the slow side of moderate ~3 miles into camp, drop off some gear, then head out for an ~4.5 mile (round trip) hike to Mt. Frissell and Mt Brace. Along the way we will pass through three states, and over the Connecticut high point! On the second day, we'll take an ~4mi route over Bear Mountain back to the trailhead. Mount Pierce trail is very straight forward and the terrain is usually easy/average because of frequent use. The hike is a gradual 3.2 miles up and it reaches a not so obvious summit at Mt Pierce. Come join families on an easy 2 mile hike around Breakheart Reservation in Wakefield/ Saugus (9:00 - 12PM) The hike is on wide gravel road and woodsy trails with two small hills that offer a reward with views towards Boston and the ocean. Perfect hike for little ones! Optional - ice cream at Jordan's post-hike. Join Boston Family & Outdoors.Rx Walk to Tippling Rock in Sudbury, MA with great views of Boston, the Blue Hills, Mt. Wachusett and the Western Suburbs. We will walk through forest, past ponds. This gentle walk is open for families of all ages. We will walk a total of 2 miles. No registration is required. The hike is free. Members and non-members welcome. Please bring a water bottle and a hat. Bring sun screen and insect repellent. Come wearing footwear good for a moderate up and down walk, either sneakers or hiking boots. The hike will cancel for rain. Join a small group of AMC Families at Cardigan High Cabin for the night. Hike in two miles with 1450' elevation gain. The cabin is just under half a mile from the summit of Mt. Cardigan (3,155') w/great views. Spring hiking is awesome with cool temperatures and no bugs. WINDSURFING SPRING POTLUCK DINNER Saturday, April 27, 2019, 7:00PM - 10:00PM Hosts: Jan Soma and Bruce Eisenhut 106 MarkedTree Road Needham, MA 02492. Newcomers welcome. Contact Jan Soma (781-444-2735). Dinner (Bring):Last name A-I main course dishes, J-M desserts, N-T veggies / salads, U-Z appetizers / bread.. Park on one of the side streets as there is no parking on Marked Tree Road Meeting follows dinner. 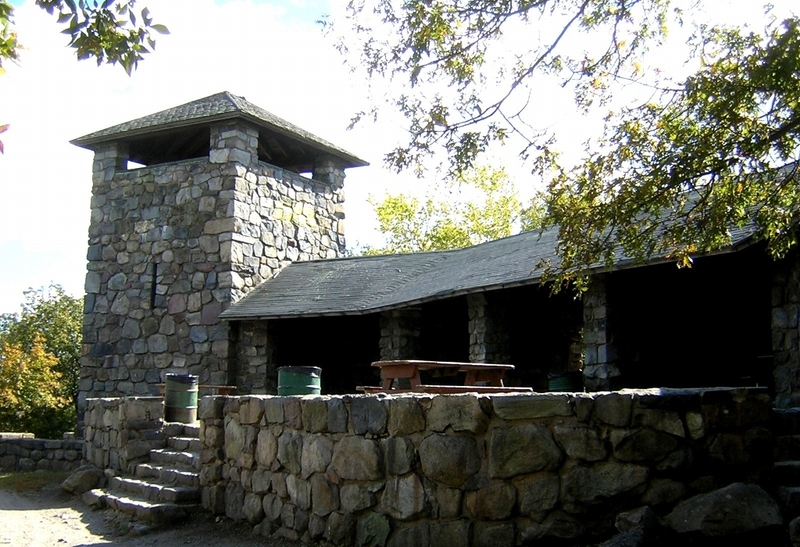 Join other families for a leisurely hike to the summit of Wachusett Mountain in Princeton, MA! The hike will be approximately 3 miles with roughly 800ft elevation gain. On a clear day, the 360-degree views from the summit and summit tower are lovely! Often known as a downhill ski destination, Wachusett Mtn is located within the 3000-acre Wachusett State Reservation, home to 17 miles of hiking and walking trails (we will only cover about 3 miles, though!). Pack a lunch and join us for a beautiful spring hike! Amy is a leader for and co-chair of the Boston Family Outings Committee. When she's not working on finishing her 48 4000-footers, Amy enjoys looking at maps, reading, cooking, eating, and spending time with her 11-year old twins, her husband, and their energetic Golden Retriever, "Bentley". Join AMC Boston Family Outings for a moderate, 4-mile hike around Ponkapoag Pond in the DCR Blue Hills Reservation. This is flat terrain with minimal elevation gain, and suitable for most school aged kids. We will begin near the golf course and plan 2+hours for the loop. Highlights include the Atlantic White Cedar swamp and the rustic AMC campground area, plus hopefully some fun wildlife sightings. This hike is recommended for ages 5+ due to mileage. Under 5 kids only with prior permission from leader. Join Boston's AMC Young Members to volunteer at Mass Audubon's Drumlin Farm and Wildlife Sanctuary! Join us for a night of board games and card games to remember! Bring your favorite board game or come to play something you haven't before. Game night will run from 6:00 pm to 9:00 pm; come for whatever time frame works for you. There may be light snacks but you should plan on figuring out dinner plans on your own. Feel free to bring food for yourself or to share.